•Strong glue. •Multifunction - stand and holder. 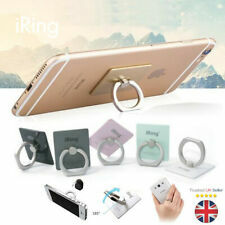 Ring Square Finger Grip Rotating Ring Holder Stand all Mobiles 8 Colours pl tell. Condition is New. Dispatched with Royal Mail 1st Class Large Letter.